Holiday shoppers have a lot of options. Here are a few things you must do if you want your business to rise above your competitors. It is Never Too Late to Implement Our Essential Holiday Marketing Tips! It is early November, so where are you with your holiday marketing? If you are like most of our clients you are in one of these categories: You started planning months ago and are all set, or you haven’t started yet and are freaking out. Relax! Our essential holiday marketing tips have some helpful tips regardless where you are with your holiday marketing strategy. One good thing in your favor is that with an early Thanksgiving you have a slightly longer holiday shopping season in 2018. By knowing and preparing ahead of time retail marketers can set realistic expectations and budget their time and efforts accordingly. Our essential holiday marketing tips are a great place to start! 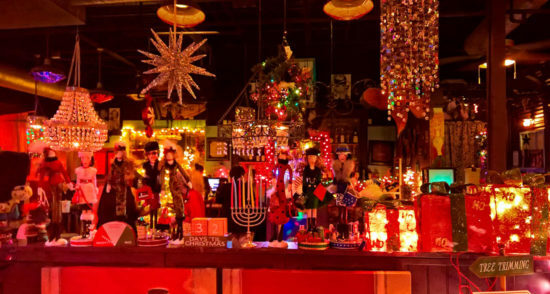 Many business owners are intimidated during the holidays. Larger brands started their holiday marketing campaigns long ago, and they seem to be everywhere. With more limited resources many small businesses don’t think they have any effective way to compete. This is where you are wrong! But you have to do it the right way. If your strategy is to flood your audience with endless messages and posts you will not succeed, guaranteed! You will waste time and money, and may actually alienate the very customers you are working so hard to reach. So, how can you do holiday marketing for your business or product brand and get heard in spite of larger competitors? In the spirit of the holidays we want to help you succeed, so here are some essential holiday marketing tips any business can implement. And if you think it is too late if you haven’t started keep this in mind: 41% of shoppers will not complete holiday shopping until mid-December! And here are some additional key dates for your 2018 Christmas Marketing you may want to keep in mind! When developing a content marketing strategy, it’s important to understand the different platforms you are using and create quality content that is specific to your small business for each. Consumers use the Web for many different activities, and tailoring your holiday messages to each can help you stand out. A 2014 survey by Neustar revealed that not only do over 90% of consumers search for a business online, but 63% use multiple devices to do so. That means you should be doing everything you can to ensure that they can find you when they search for holiday deals. In previous posts we gave you Tips for Writing Content That Ranks for your website, blog, and social media profiles to show up in local search results. By creating content that your consumer is searching for you can improve your search ranking and make it easier for holiday shoppers to find your business. Also, be sure to claim and optimize your local listings, such as Google, Bing and Yelp by making sure that your basic information – phone number, address, hours of operation (be sure to mention any special holiday hours! ), and business description – is accurate and updated to reflect holiday-related products or services, special store events, tie-ins with other merchants and anything else your customers may find helpful. As an added bonus you can provide your customers with two other very helpful bits of information: how to find parking near your business, and the 2018 Holiday Shipping Deadlines! This is another one of our essential holiday marketing tips! 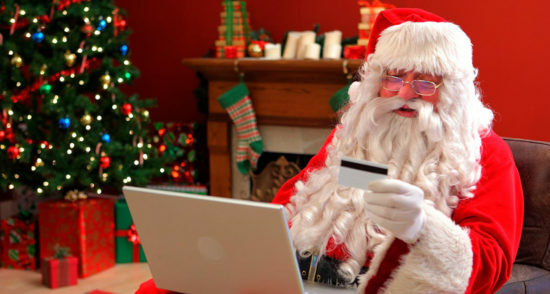 Social media can be the best or worst way to promote your holiday deals online. It all depends on how you use it. For many local small businesses, an engaging organic social media strategy can help get the word out about offers and specials, especially during the holiday season. But if you turn your social media profiles into a promotion-heavy soapbox, shouting “Me! Me! Me!” all the time you are going to turn likes and follows into nasty comments on your social profiles. A better strategy is sharing photos of your staff participating in holiday events or outreach in your community, posting entertaining holiday videos, seasonal products or services, and of course, promoting special deals exclusively for social fans and followers. For example, a Twitter offer like “Mention ‘Small Business Saturday’ at checkout and get 20% off your purchase! #SmallBizSat will engage followers and entice store visits. No matter what your business or industry is, you must be mobile-first in 2018 if you want to attract and convert mobile consumers! According to Fortune.com, mobile and tablets accounted for 50% of web visits during the 2016 holiday season, driving 31% of purchases and generating $28.43 billion in revenue (up 23% from last year). Having a responsive web design for mobile consumers is a great way to show holiday shoppers on the go what you have to offer. Holiday bargain hunters frequently check out product details on their smartphone while in your store, so giving them access to quick, informational content with easy conversion paths can help you turn them into customers instead of sending them to your competitors! Another of our essential holiday marketing tips: holiday shoppers are searching for products and services online, but they’re not all looking in the same place. By using multiple online advertising platforms to promote your holiday deals, you can reach more consumers in more places across the Web. Search, display, mobile, social media, and email marketing are all effective ways to reaching consumers who are ready to purchase. There are different holiday marketing strategies for each of these, but in general, your holiday campaigns should include specific phrases, like “Only on Small Business Saturday”, have an effective and visible call to action, and lead shoppers to an optimized landing page to capture even more of your prospective customers during the holidays. The easier you make it for consumers to browse, plan, and purchase items across a variety of devices, the more you stand to gain from the national shift to online shopping. Email marketing is a very effective way to reach holiday shoppers. Email marketing accounted for 16% of e-commerce orders last year! Create your email calendar and include an email send to subscribers so they can set frequency expectations and give preference options to avoid high opt-out rates. Monitor email metrics such as opt-out rates, and open rates to keep campaigns running smoothly. AdWords or PPC campaigns can be highly effective to drive extra traffic to your online presence, and your store! 6 out of 10 shoppers will pay attention to search ads, particularly on weekends, and especially on the weekend between Black Friday and Cyber Monday! Use 3rd party tools or automated rules to turn promotional ads on and off on key dates. Continue monitoring prices for competitiveness and update ads accordingly (retargeting, social media, etc.) Conversion rates for e-commerce visitors that came through paid search jumped up 20% during the 2017 holidays! What other key strategies and essential holiday marketing tips are you using to promote your small business this holiday season? Let us know by commenting! OK, now that you have studied our holiday marketing tips for small business it is time to implement some or all of them. Maybe your holiday marketing is already well underway, in which case you may only need one or two of our holiday marketing tips. Good for you! But others may not have been as pro-active, so feel free to use our holiday marketing tips as the basis of your holiday marketing strategy. Implementing our holiday marketing tips does take some effort, but we tried to keep them simple. And at least some of this should already be part of your strategy to grow your business online. Most of our holiday marketing tips can be planned and implemented ahead of time, but you should allow for unexpected opportunities. Still Have Questions About Your 2018 Holiday Marketing? And if you are still not sure about implementing our essential holiday marketing tips don’t worry! Simply reach out and contact us. Our expert team will listen to you, answer your questions, and determine the best way for your business to get the holiday marketing benefits you need. That is one of our specialties, after all! Do you have any other helpful or essential holiday marketing tips you would like to share? Feel free to add your comments below so our audience can share in the fun, and grab our feed so you don’t miss our next post! And feel free to share our holiday marketing tips with your audience!